The Embassy of the Free Mind is devoted to the preservation of Western esotericism, Hermeticism and philosophy through the study of historical books and manuscripts. 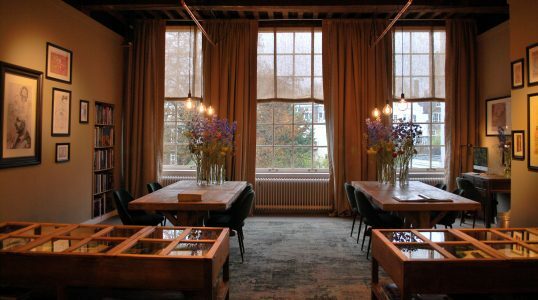 Located inside the famous Amsterdam building House with the Heads, the museum's name comes from its support of free thought and the sharing of ideas. Its collection is founded on the Bibliotheca Philosophica Hermetica, also know as the Ritman Library, and ranges in subject matter from the legendary alchemist Hermes Trismegistus to the art of William Blake.